Aesthetika Dental Center Blog Receding Gums: Are Your Teeth in Peril? Clenching or grinding your teeth aggrevates the supporting bone. Aggressive orthodontics can move the teeth too far from the supporting bone. 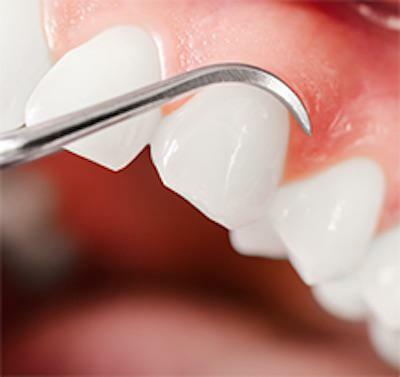 For patients with severe gum recession, the dentist may ultimately advise surgery. Grafting is one common option that may be offered, in which tissue from a donor or another area of your mouth is applied to the affected area. Periodontal surgery or “pocket depth reduction”, is another alternative that involves removal of diseased tissue altogether. This treatment may be recommended only if the gums have receded to such a point that tooth loss is imminent, and it can result in tooth sensitivity. Use a mouth guard at night to keep teeth grinding from stressing the gums and bone. If you observe recession around your teeth, Dr. Castaneda at Aesthetika can assess the cause of your recession and recommend treatments available to correct or prevent further recession from occuring.